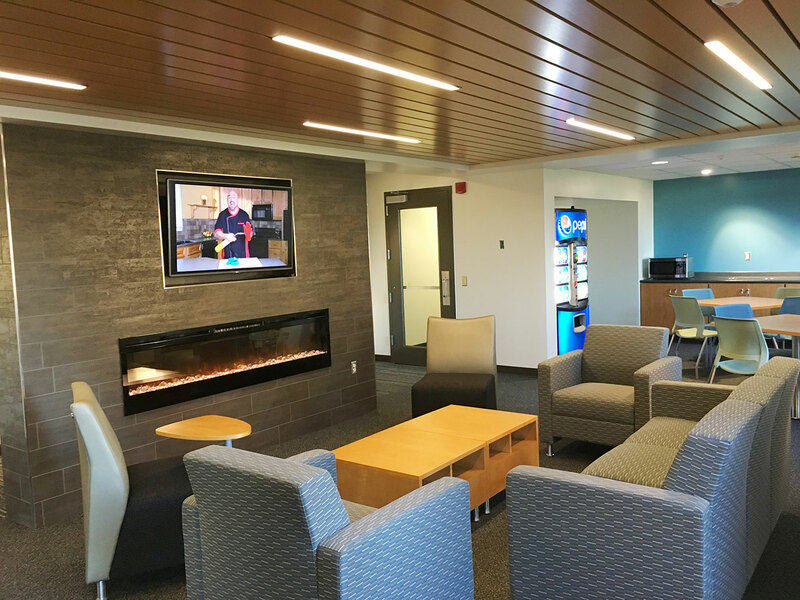 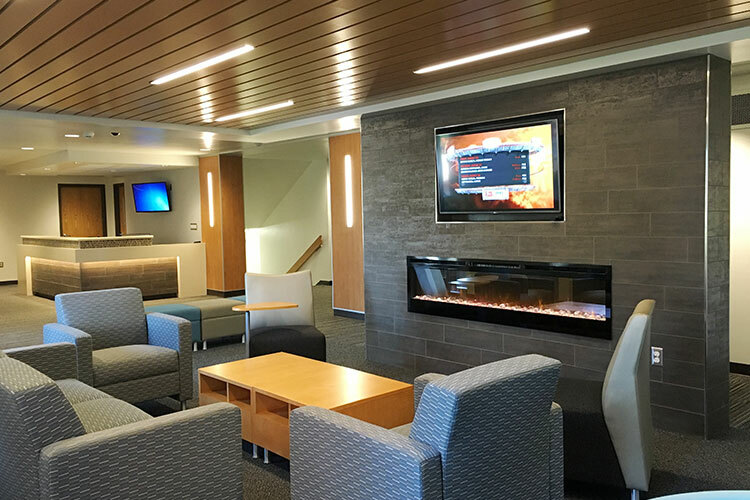 The project entailed renovating the main entry area of the residence hall to create an expanded lobby that includes a resident assistant desk, new lobby/lounge space and a snack and vending area. 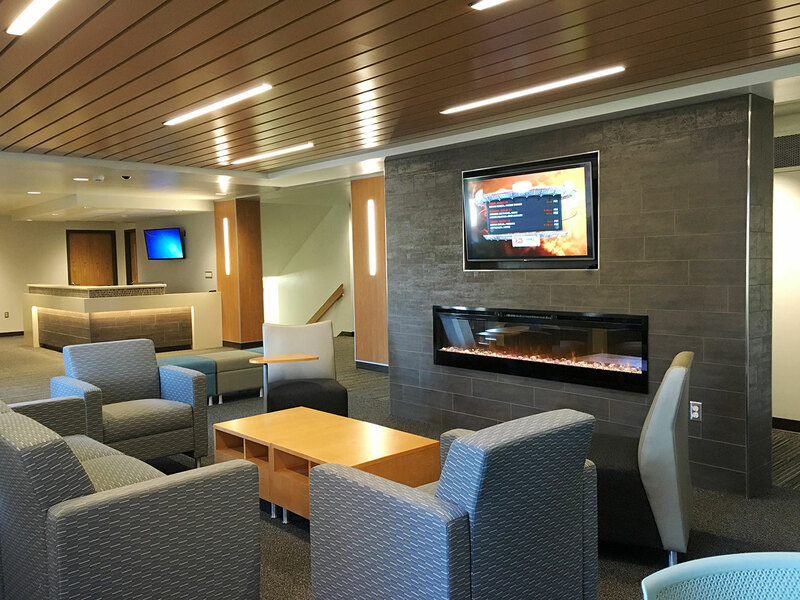 Finishes were updated throughout to create a ‘living room’ atmosphere for the students to enjoy. 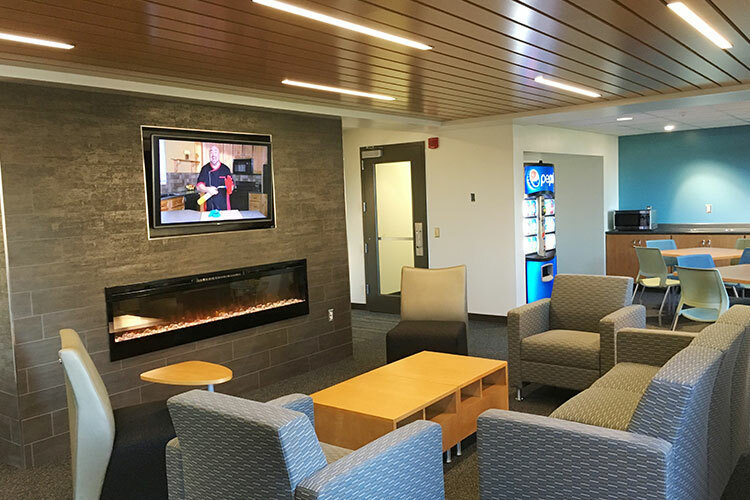 The Resident Director apartment was also remodeled as part of the lobby renovation.